The greatest favor you can do to your sister, mother, lover, professor, student, is put away your phone. 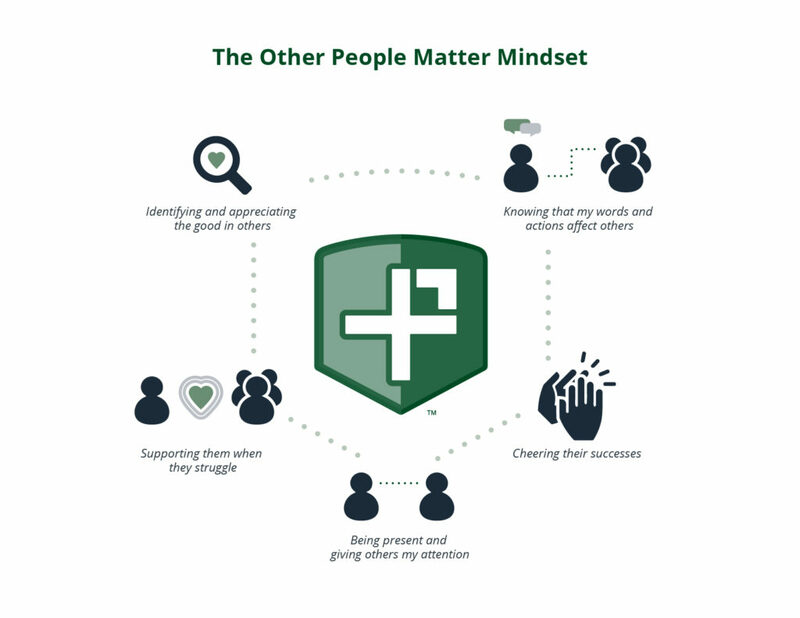 This element of the Other People Matter Mindset (OPM2) means that when I’m with other people, I’m present and give them my full attention. A deliberate focus on being present is so important today due to the increasing number of distractions vying for our time and attention. Phone calls, text messages, emails, social media notifications all have the formidable capacity to pull us away from the present moment and what’s most important – our relationships with other people. How dangerous is this to our well-being and the fabric of our society? Very. Dr. Jean Twenge, the author of iGen: Why Today’s Super-Connected Kids Are Growing Up Less Rebellious, More Tolerant, Less Happy–and Completely Unprepared for Adulthood–and What That Means for the Rest of Us, cites research that should scare us about people born between 1995 and 2012. As she explains, “Rates of teen depression and suicide have skyrocketed since 2011. It’s not an exaggeration to describe iGen as being on the brink of the worst mental-health crisis in decades. Much of this deterioration can be traced to their phones.” But this isn’t just about kids. Adults, too, are addicted to devices and social media – and are being negatively impacted mentally, emotionally, and physically by these addictions. This week’s example is Dr. Sherry Turkle. Dr. Turkle is a professor at MIT and the founding director of the MIT Initiative on Technology and Self. She is the author of multiple books about our relationship with technology. Most recently, she wrote Reclaiming Conversation: The Power of Talk in a Digital Age. In this important book, she describes how we’ve become addicted to our technology. And, she reveals why in-person conversation is critical in developing our capacity for focus, empathy, and meaningful relationships. Just like plants need sunlight to grow, our relationships need attention. The research is crystal clear, relationships are the cornerstone of health, happiness, and resilience. And, if we don’t give our attention to the people we’re building relationships with – whether family members, close friends, or even distant colleagues – we can’t build those relationships. On a group level, it’s vitally important that we pick our heads up from our cell phones and truly listen to other people when they’re talking. A positive culture is built with positive relationships – and we can’t build positive relationships without attention. So, the answer is clear: we need to pay attention to people in our lives. That’s going to be good for individuals, small groups, and large societies. To find your grade level’s presentation, you can simply type the word “OPM2 Be Present” into the Resource Title search bar or sort by Character Strength and select OPM2 Be Present. Each of those options will provide you with 10 slide presentations. For a simple overview of the Resources page, with pictures and videos, click here.